(b) not less than five but not more than seven other persons. (a) to organise, undertake and supervise all elections to local government councils within the State. 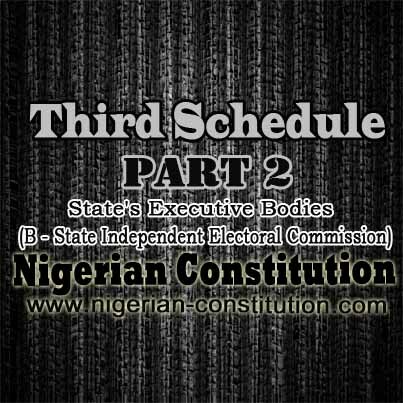 (b) to render such advice as it may consider necessary to the Independent National Electoral Commission on the compilation of and the register of voters in so far as that register is applicable to local government elections in the State.